Click to view an item: If you're an admin, you'll see the option to delete or edit a post. Non-admins can only delete or edit items they've created. They can only delete or edit their comments on a post for 15 minutes. Delete files to free space in your account! To delete a file, just click on the Delete button in list view. Only admins can edit or delete items they did not create. Email signature attachments will be ignored as long as they are GIF, JPG, smaller than 5KB, and follow the "image00#" filename format. Images beginning with "~WRD" or "compose-unknown-contact" are also ignored. Hover over the title of a list or a task. You'll see a trash can icon pop up to the left. Click on that that to delete. 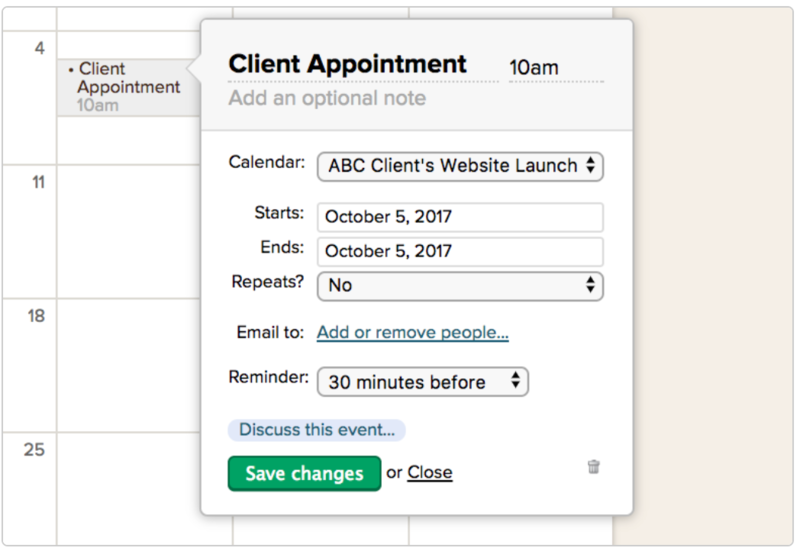 Click the title of an event on the calendar. In the pop-up that appears, you'll see a trash can icon in the lower right corner of that box. Click on that to delete the event. Any member of a project can delete a to-do list, task, or event. Don't panic if you delete something! You can restore deleted items for up to 30 days. To see all deleted items, find the Trash can on your Everything page. Here, you can see the history of all deleted items you had access to. Click on an individual item to restore it or delete it permanently. Individual comments can be restored right from the item's history. 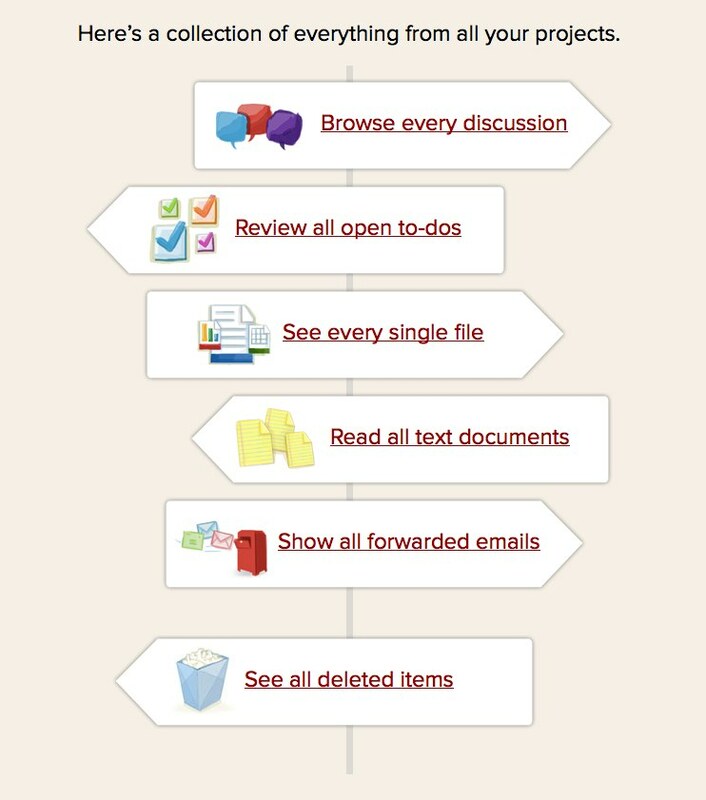 Anyone with access to a project can delete to-do lists, tasks and calendar events. Admins can restore those items. Other projects items can only be deleted and restored by admins.